Anita Majumdar’s Fish Eyes Trilogy is an exercise in empathy, digging deep into the raw crevices of teenage desire for self-actualization. Playing at the Factory Theatre, the trilogy follows the intertwined but distinct storylines of three women as they come of age in small town BC. Layering on themes of sexism, assault, racism and oppression, each separate play follows the unraveling of the central character under the weight of events and pressures beyond her control. The lack of a happy or resolved ending—individually or as a whole—provides an uncomfortable conclusion, though for each there was a glimmer of hopeful growth. In Boys with Cars we meet Nazeem in the lower parking lot of Port Moody Secondary School. As with all the characters, Nazeem’s sense of self is inseparable from her identity as a dancer. Insecure Nazeem, an Ismaili Muslim, loved dance, “except the parts where people look at me.” It is while self-consciously performing at a local festival that her dancing catches the eye of one of the local “cools” and her social status shifts rapidly. She begins dating nice guy Lucky—an outgoing Bhangra dancer. However, after being assaulted by Lucky’s best friend Buddy, and due to the jealousy of Buddy’s girlfriend Candace, the group turns on her, breaking her down through physical and emotional abuse. The misogynistic victim blaming and overt racial tone to their bullying effectively derail Nazeem’s future, no longer is she able to attend UBC in the Fall, instead she is trapped both in Port Moody, and in hellish circumstances beyond her control. Nazeem desires revenge and retribution, recounting events a year later as she disingenuously prepares to perform at Buddy and Candace’s wedding. In Let Me Borrow that Top we are reintroduced to Candace, the audience is primed to not like her, and Majumdar works hard to develop Candace’s character as one worthy of our sympathy. We watch Majumdar transform into Candace under the guise of a Youtube makeup tutorial. A close up of Majumdar’s face is projected on a large screen, creating an uncomfortable intimacy as she applies bright blue contacts, a blond wig, and smears a light toned foundation over her face. We learn that Candace has been conditioned by a lifetime of casual sexism to disregard her worth unless it can be measured by her association to men. Candace dreams of something more for herself, and her crush on Lucky spurs her to audition for a Bhangra dance school in England. Her audition is successful, and while Candace is pressed to acknowledge her own privilege as a white woman in this context, she does not take the note and misses an opportunity for growth. Her success in this area falls flat, and seems to be set up as a foil—for we have already learned in the first play that she is pregnant with Buddy’s child and set to marry him back in Port Moody. While Nazeem can’t know at what cost Candace’s marriage to Buddy comes, it is clearly set up to provide some schadenfreude, Nazeem discovers the power to leave Port Moody as she witnesses Candace’s attempt to escape thwarted by unwanted motherhood and a boorish husband. We meet Meena in Fish Eyes, a dedicated student of classical Bharatanatyam dance, a devoted fan of Bollywood, and fellow Port Moody senior. Meena seeks an identity outside of ‘disciplined dancer’ and hopes to find it in her unrequited crush on Buddy, which she desperately fantasizes through Bollywood tropes. Meena’s distancing herself from her practice puts strain on her relationship with her dance teacher—a benevolent character that connects Meena to India as a cultural homeland, and whose past failed relationship with a white man reveals the undercurrents of colonial structures that are affecting Meena in the present day. While Meena gets pulled into the ‘cools’ orbit when she is grouped with Candace and her friends for a gym class exercise that culminates in their group performing an Indian dance routine for the whole school, (it was during this performance, on the top row of the bleachers, that Candace’s boyfriend, Buddy, assaults Nazeem) she never integrates into the group in the way that Nazeem did. Meena always remains an outsider. 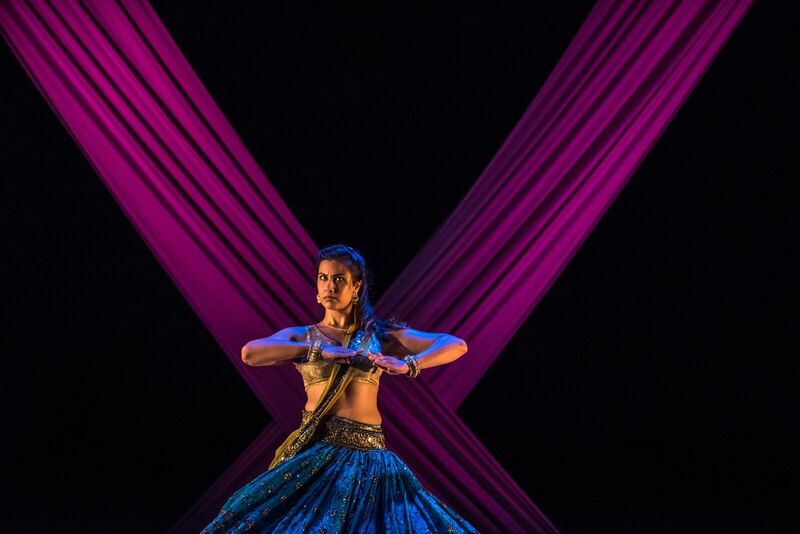 It is the choreography that Meena provides as a highly trained dancer in this group project that Candace appropriates for her Bhangra school audition, misremembering Meena’s contribution as her own. Watching Meena perform the steps with technical precision after Candace’s clumsy rendition in Let Me Borrow That Top showcases Majumdar’s skill while providing a common choreographic narrative that links the three stories together. Nazeem and Meena both struggle as outsiders and use dance as a way to self-identify within the dominant culture. Their brown female bodies provide the canvas to demonstrate persistent sexism and racism in Canadian society. Where Meena’s story is romantically wistful while still demonstrating persistent colonial histories, Nazeem is caught in a web of traumatic racist and sexist oppression. Both are harmed by Candace who, although victim to her own circumstances, is blind to her privilege and takes from, villainizes, and assaults the other women with impunity. All three suffer under a patriarchal and sexist society that devalues them as women, although this shared experience is not one they are able to recognize or bond over Instead, each are injured to varying degrees by their association with one another. Candace may have gotten her comeuppance, unable to escape Port Moody or Buddy; and realising this may have empowered Nazeem to break away from the story created for her after’s Buddy assault, but Nazeem’s new found freedom is a tough pill to swallow when it comes at Candace’s expense. Meena’s fantasies of being with Buddy are dashed by his involvement with Candace, but in her mind Buddy is still the hero, while Candace with her blond popularity remains the enemy. The men get everything and the women get nothing. It’s not really an empowering story after all, but it is uncomfortably relevant. Majumdar performs each character (as well as the supporting cast) with nuance and grace, her use of dance to embody the characters and their stories demands a sympathetic (if not empathetic) response from the audience, and a strong reflection of the patriarchal systems we internalise and live under.